The unique VARTA® Promotive EFB is the most effective battery ever for high energy demanding commercial vehicles. Unmatched performance merges with the highest vibration resistance to provide absolute reliability and a longer life. 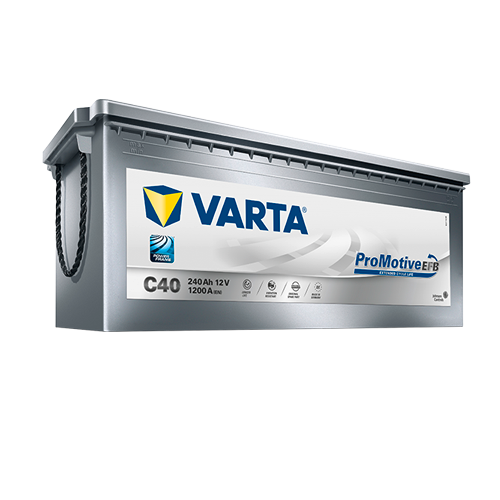 Why VARTA® Promotive EFB Batteries? Powered by Johnson Controls Power Solutions, VARTA® Promotive EFB batteries are trusted by customers globally. VARTA® Promotive EFB batteries provide longer life, less acid stratification and reliable performance in all applications.